The smell is amazing when it's in the oven! - it tastes great too spread with butter when warm. It has a good consistency and it handy for packed lunches and picnics. The mix makes a good large - sized loaf. It is best sliced a little thinner and buttered generously and it soon dries out. It can be frozen as individual slices and then toasted. 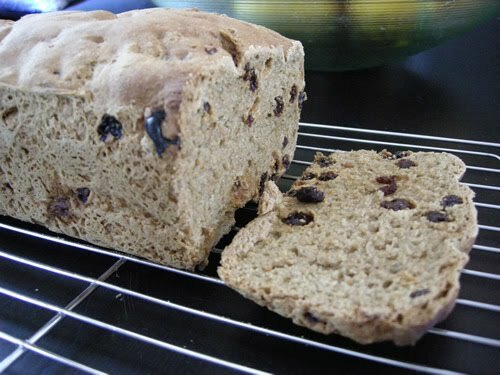 Pros - A great tasting fruit bread, with good consistency. Handy for snacks. Cons - It's not organic. Can get a bit dry. Contains mostly potato starch.